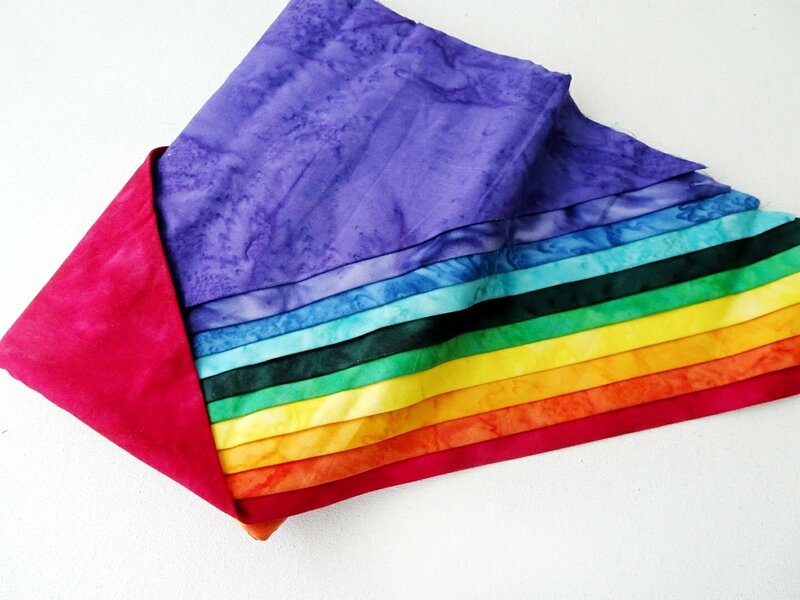 A collection of 10 batiks bali in rainbow colors. These fat quarter fabrics are perfect for any fabric craft, be it patchwork quilting, bag, pouches, patchwork dresses, etc. 10 Fat Quarters is equal to 2.5 Yards of fabric.